Arvin Vohra is an American author, entrepreneur, and educational pioneer. His books include The Equation for Excellence: How to Make Your Child Excel at Math, and Lies, Damned Lies, and College Admissions. His books have been published in the U.S. and China, and his programs have been featured on CBS news and magazines such as Education Week and The Examiner. He also developed the Vohra Method of Nonlinear Education, and the Synapse algorithm used in Vocabulary Synapse and related software programs. Arvin’s passion for educational innovation began while he was studying at the Landon School in Bethesda, MD. Frustrated by the limitations he perceived in standard education, he began to test the limits of a different type of approach. He learned algebra in a few weeks to advance a level in math, and even attended college courses as early as eighth grade. In high school, Arvin achieved a score of 5 on 10 AP exams to become an AP National Scholar. For 6 of those exams, he did not take the corresponding AP class, and instead relied on intensive outside study. Arvin was a National Merit Finalist, with the highest SAT and PSAT scores in his graduating class. On the SAT, he achieved a score of 790 on both the math and verbal sections and a perfect score of 800 on both the SAT Math IIc and Chemistry SAT II tests. For his efforts he was awarded the Rensselaer Medal for Math and Science in his Junior year. During this time, Arvin worked actively as a tutor for younger students, most notably at the North Chevy Chase Elementary School. Arvin attended Brown University, where his passion for educational innovation continued to grow. He worked as a tutor and teacher at the Wheeler School’s Aerie Program. At Wheeler, he designed accelerated and nontraditional curricula for students ranging from second to eighth grade. Later, he worked as a consultant for the Hamilton Institute for Learning Differences. After graduating from Brown University with a B.Sc. in mathematics and a B.A. in economics, Arvin achieved perfect scores on both the GRE and the GMAT, finishing each test with well over an hour to spare. He also passed two actuarial exams in a single testing period while working as an actuary at GEICO. He knew he could guide others to the same achievements and so in 2001 he founded Vohra Tutoring. Arvin helped ADHD students wean themselves off of prescription drugs (and associated horrible side-effects) and still achieve top marks in elite academies. He helped students with special accommodations increase their testing speed so that they no longer needed the extra time and still finished early. He helped to invigorate and renew students' desire to succeed and achieve. And he helped "D" students boost their grades and writing skills to get into the Ivy League colleges of their dreams. 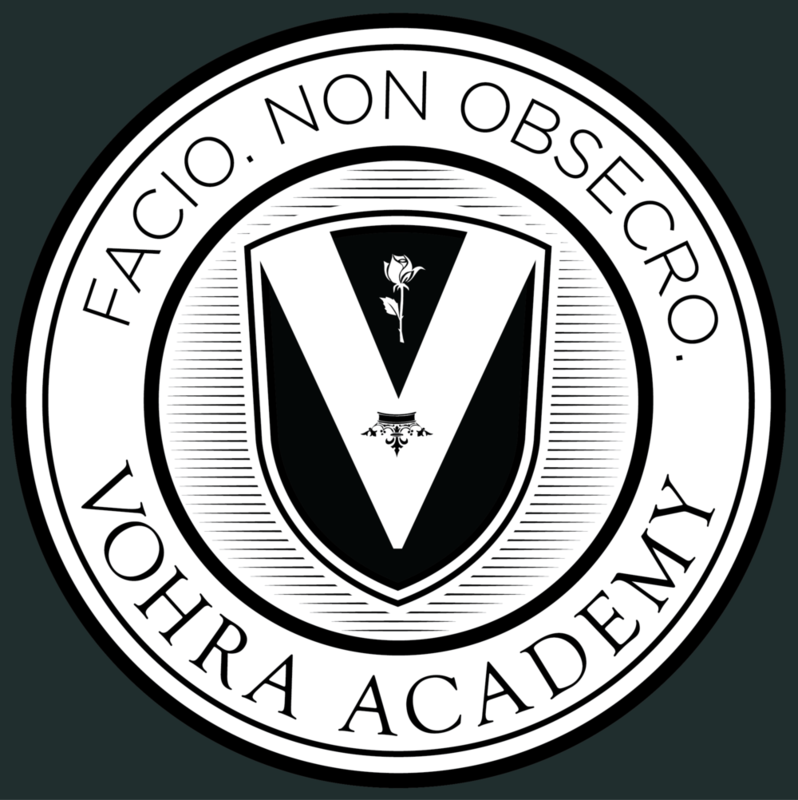 Years of fine tuning and individualized tutoring sparked the founding principles of the Vohra Method. In 2008, Arvin compiled his drafts of curriculum and his years of experience in order to create the most efficient and cost effective method of group tutoring ever seen. The Vohra Method, a non-linear, individualized curriculum that allows students to work side by side on totally different topics, all with the same teacher, grew significantly over the years. Arvin worked to constantly improve a curriculum that enabled students to achieve massive gains in SAT, ACT, and AP test scores, and provides thorough instruction in history, math, the sciences, and literature. Arvin Vohra's dedication to personal excellence and innovation form the philosophical foundation of the Vohra Academy. Chelsey M. Snyder serves as Vohra Academy’s Director of Operations and Head of Curriculum Development. A perfectionist who comes from a family of teachers and military officers, Chelsey had the organized precision to refine Arvin’s initial breakthrough methodology into the surgically precise curriculum we use today. She is also an educational visionary in her own right, and has developed many of the most advanced and specialized parts of the Vohra Academy curriculum, including the IQ testing and spatial reasoning curricula and most of the advanced literature curricula. Like Arvin, Chelsey started tutoring other students at a young age. But while Arvin started around age thirteen, Chelsey started around age seven, helping struggling students in her mother’s classroom. She later distinguished herself academically, with perfect and near-perfect grades in her school’s most advanced classes. She graduated high school in only three years, but still took more AP classes than Arvin did in four. In college, she continued to dominate academically, graduating with a GPA of 3.9 while also working 25-30 hours per week. By this time, she had seen what complete organization, total dedication, and absolute perfectionism could get from standard education. She had seen all that traditional education could offer. And she knew this: she could make something so much better. She joined Vohra Method in 2014, recognizing the potential of the popular D.C. based tutoring service. As students suddenly started coming in, via Skype, from all over the country, she enhanced and developed the existing curriculum to make better use of the online space. Weekly improvements in technique and content soon became the norm. Chelsey brings more than just military perfectionism to the Vohra Academy. Her insights into educational psychology and cognitive development shape many of our methods and rules, allowing students to accomplish far more in less time.